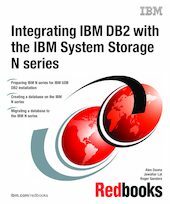 This IBM Redbooks publication describes the steps carried out to configure and install an IBM DB2 database in a N series storage system UNIX environment. It particularly elaborates the configuration steps for the UNIX host as well as the IBM N series storage system. The UNIX host types covered in this book are Linux, IBM AIX, Sun Solaris, and HP-UX.